You are here: Virgin Islands News Online » News » Millions in no bid college contracts; What was Walwyn’s role? One such question came from Leader of the Opposition, Hon Andrew A. Fahie (R1) addressed to the Minister for Education and Culture, Hon Myron V. Walwyn (AL). He asked Mr Walwyn, "if the repairs to the H. Lavity Stoutt Community College, as a result of hurricanes Irma and Maria had commenced, the name of the contractor(s), amount of each contract, process used to select contractor, competitive bid or otherwise and the source of funds." However, red flags started going up when the Minister refused to read the names of the contractors indicating that persons “shy away from doing work for the government so as to avoid their names being called”; to which the Leader of the Opposition objected as he insisted that according to the rules of the House, there’s nothing to prohibit the reading of the names and hence, they should be read. “It’s the people’s business,” Hon Fahie uttered. However, the Speaker of the House, Hon Ingrid A. Moses-Scatliffe intervened and stated that, according to the rules the answers to question should be read. Nonetheless, the Speaker may have shown her usual bias as she did not instruct Mr Walwyn to read the complete answers. Instead, the document was handed over. The document showed and unearthed that in a No Bid Process of the four contracts issued; Autland Heavy Equipment Company Limited received two contracts. 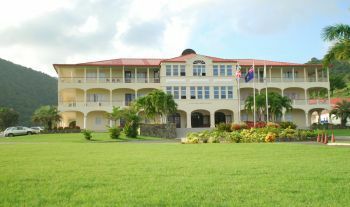 One for remedial work on main building for the sum of $24,860.00 and the second contract for repair of the main building for the sum of $1,280,193.67. 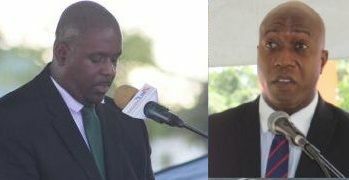 In addition, because of how Mr Walwyn has micro managed his Ministry and all departments under his portfolio, statutory or not, many are asking on social media what was his role in the selection of the contractors. The Minister is currently under audit investigation for a small wall he authorised to be built around the Elmore Stoutt High School costing taxpayers over $1.6M. You see these NDP, ministers/politicians are at a stage now where they take we the people for fools. The whole BVI should know by now that there is no way under the sun, that the minister don’t have a hand in this, they seized every opportunity to throw civil servants under the bus. One must asked themselves, were those ‘No Bid’ contracts in exchange for support in the NDP internal elections? Mr. Wheatley, you are a man of God, preaching from the pulpit almost every Sunday if not every Sunday. The public needs to know the truth in this matter. Is the minister telling the truth here when he suggested that the board awarded this no bid contract? Will you fully accept the blame for this one Mr. Wheatley? Why would the Minister intervene now? He let the board continue to let that old woman ruin the place. No one cared about her abuse, mismanagement, the numerous law suits and the entire destruction of the only college in the country. The public did not care either. It was just something to gossip about. They left poor Judith with a mess and when she can’t fix it she will be blamed. Everyone else will just blame Irma but we all know better. How could all those educated politicians let the College collapse. Shameful.